The concept of intelligence is notoriously slippery, and different people have defined it in different ways. For our purposes, let’s say that intelligence involves the ability to achieve goals. And since we don’t always know what goals an individual or group is trying to achieve, let’s say that whether an entity “seems” intelligent depends on what goals an observer attributes to it. Based on these assumptions, we can define two kinds of intelligence. The first is specialized intelligence, which is the ability to achieve specific goals effectively in a given environment. This means that an intelligent entity will do whatever is most likely to help it achieve its goals, based on everything it knows. Stated even more simply, specialized intelligence is “effectiveness” at achieving specific goals. In this sense, then, specialized collective intelligence is “group effectiveness,” and a supermind is an effective group. The second kind of intelligence is more broadly useful and often more interesting. It is general intelligence, which is the ability to achieve a wide range of different goals effectively in different environments. This means that an intelligent actor needs not only to be good at a specific kind of task but also to be good at learning how to do a wide range of tasks. In short, this definition of intelligence means roughly the same thing as “versatility” or “adaptability.” In this sense, then, general collective intelligence means “group versatility” or “group adaptability,” and a supermind is a versatile or adaptable group. What Kind of Intelligence Do Computers Have? Google’s search engine is great at retrieving news articles about baseball games, for example, but it can’t write an article about your son’s Little League game. IBM’s Watson beats humans at Jeopardy!, but the program that played Jeopardy! can’t play tic-tac-toe, much less chess.2 Teslas can (sort of) drive themselves, but they can’t pick up a box from a warehouse shelf. Of course, there are computer systems that can do these other things. But the point is that they are all different, specialized programs, not a single general AI that can figure out what to do in each specific situation. Humans, with their general intelligence, must write programs that contain rules for solving different specific problems, and humans must decide which programs to run in a given situation. In fact, none of today’s computers are anywhere close to having the level of general intelligence of any normal human 5-year-old. No single computer today can converse sensibly about the vast number of topics an ordinary 5-year-old can, not to mention the fact that the child can also walk, pick up weirdly shaped objects, and recognize when people are happy, sad, or angry. How soon, if ever, will this change? Progress in the field of artificial intelligence has been notoriously difficult to predict ever since its early days in the 1950s. When researchers Stuart Armstrong and Kaj Sotala analyzed 95 predictions made between 1950 and 2012 about when general AI would be achieved, they found a strong tendency for both experts and nonexperts to predict that it would be achieved between 15 and 25 years in the future — regardless of when the predictions were made.3 In other words, general AI has seemed about 20 years away for the last 60 years. More recent surveys and interviews tend to be consistent with this long-term pattern: People still predict that general AI will be here in about 15 to 25 years.4 So while we certainly don’t know for sure, there is good reason to be skeptical of confident predictions that general AI will appear in the next couple of decades. My own view is that, barring some major societal disasters, it is very likely that general AI will appear someday, but probably not until quite a few decades in the future. All uses of computers will need to involve humans in some way until then. In many cases today, people are doing parts of a task that machines can’t do. But even when a computer can do a complete task by itself, people are always involved in developing the software and usually modifying it over time. They also decide when to use different programs in different situations and what to do when things go wrong. How Can People and Computers Work Together? Minsky was primarily interested in how human brains worked and how artificial intelligence programs might be developed, but his analogy also suggests a surprisingly important idea for how superminds consisting of both people and computers might work: Long before we have general AI, we can create more and more collectively intelligent systems by building societies of mind that include both humans and machines, each doing part of the overall task. In other words, instead of having computers try to solve a whole problem by themselves, we can create cyber-human systems where multiple people and machines work together on the same problem. In some cases, the people may not even know — or care — whether they are interacting with another human or a machine. People can supply the general intelligence and other skills that machines don’t have. The machines can supply the knowledge and other capabilities that people don’t have. And, together, these systems can act more intelligently than any person, group, or computer has done before. How is this different from current thinking about AI? Many people today assume that computers will eventually do most things by themselves and that we should put “humans in the loop” in situations where people are still needed.6 But it’s probably more useful to realize that most things now are done by groups of people, and we should put computers into these groups in situations where that is helpful. In other words, we should move away from thinking about putting humans in the loop to putting computers in the group. What Roles Will Computers Play Relative to Humans? If you want to use computers as part of human groups in your business or other organization, what roles should computers play in those groups? Thinking about the roles that people and machines play today, there are four obvious possibilities. People have the most control when machines act only as tools; and machines have successively more control as their roles expand to assistants, peers, and, finally, managers. A physical tool, like a hammer or a lawn mower, provides some capability that a human doesn’t have alone — but the human user is directly in control at all times, guiding its actions and monitoring its progress. Information tools are similar. When you use a spreadsheet, the program is doing what you tell it to do, which often increases your specialized intelligence for a task like financial analysis. But many of the most important uses of automated tools in the future won’t be to increase individual users’ specialized intelligence, but to increase a group’s collective intelligence by helping people communicate more effectively with one another. Even today, computers are largely used as tools to enhance human communication. With email, mobile applications, the web in general, and sites such as Facebook, Google, Wikipedia, Netflix, YouTube, and Twitter, we’ve created the most massively connected groups the world has ever known. In all these cases, computers are not doing much “intelligent” processing; they are primarily transferring information created by humans to other humans. 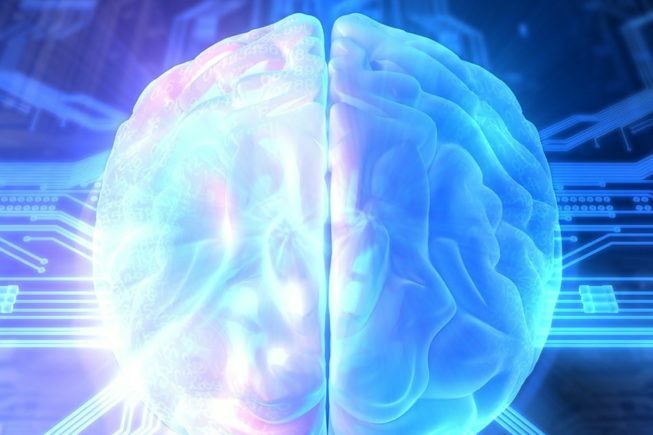 While we often overestimate the potential of AI, I think we often underestimate the potential power of this kind of hyperconnectivity among the 7 billion or so amazingly powerful information processors called human brains that are already on our planet. A human assistant can work without direct attention and often takes initiative in trying to achieve the general goals someone else has specified. Automated assistants are similar, but the boundary between tools and assistants is not always a sharp one. Text-message platforms, for instance, are mostly tools, but they sometimes take the initiative and autocorrect your spelling (occasionally with hilarious results). Another example of an automated assistant is the software used by the online clothing retailer Stitch Fix Inc., based in San Francisco, California, to help its human stylists recommend items to customers.7 Stitch Fix customers fill out detailed questionnaires about their style, size, and price preferences, which are digested by machine-learning algorithms that select promising items of clothing. The algorithmic assistant in this partnership is able to take into account far more information than human stylists can. For instance, jeans are often notoriously hard to fit, but the algorithms are able to select for each customer a variety of jeans that other customers with similar measurements decided to keep. And it is the stylists who make the final selection of five items to send to the customer in each shipment. The human stylists are able to take into account information the Stitch Fix assistant hasn’t yet learned to deal with — such as whether the customer wants an outfit for a baby shower or a business meeting. And, of course, they can relate to customers in a more personal way than the assistant does. Together, the combination of people and computers provides better service than either could alone. Some of the most intriguing uses of computers involve roles in which they operate as human peers more than assistants or tools, even in cases where there isn’t much actual artificial intelligence being used. For example, if you are a stock trader, you may already be transacting with an automated program trading system without knowing it. And if your job is dealing with claims for Lemonade Insurance Agency LLC, based in New York City, you already have an automated peer named AI Jim.8 AI Jim is a chatbot, and Lemonade’s customers file claims by exchanging text messages with it. If the claim meets certain parameters, AI Jim pays it automatically and almost instantly. If not, AI Jim refers the claim to one of its human peers, who completes the job. Human managers delegate tasks, give directions, evaluate work, and coordinate others’ efforts. Machines can do all these things, too, and when they do, they are performing as automated managers. Even though some people find the idea of a machine as a manager threatening, we already live with mechanical managers every day: A traffic light directs drivers; an automated call router delivers work to call center employees. Most people don’t find either situation threatening or problematic. It’s likely that there will be many more examples of machines playing the role of managers in the future. For instance, the CrowdForge system crowdsources complex tasks such as writing documents. In one experiment, the system used online workers (recruited via the Amazon Mechanical Turk online marketplace) to write encyclopedia articles.9 For each article, the system first asked an online worker to come up with an outline for the article. Then it asked other workers to find relevant facts for each section in the outline. Next it asked still other workers to write coherent paragraphs using those facts. Finally, it assembled the paragraphs into a complete article. Interestingly, independent readers judged the articles written in this manner to be better than articles written by a single person. How Can Computers Help Superminds Be Smarter? Computers can help do all these things in new ways that often — but, of course, not always — make the superminds smarter. To see how, let’s consider how a large corporation like Procter & Gamble could develop a new strategic plan. The possibilities we’ll discuss are just that: possibilities. I have no reason to believe that P&G is doing these things at present. But I think that P&G and many other companies are likely to do things like this in the future. Today, corporate strategic planning in large companies usually involves a relatively small group of people, mostly senior executives, their staff, and perhaps some outside consultants. But what if we could use technology to involve far more people and let machines do some of the thinking? As we saw above, one of the most important roles for computers is as a communication tool that allows much larger groups of people to think together productively. A promising approach for doing that within the strategic planning process is to use a family of related online contests, called a contest web.10 There could be separate online contests for strategies at different levels of the organization. For example, if P&G used this approach, the company might have separate contests for each brand, such as Pantene shampoo, Head & Shoulders shampoo, and Tide laundry detergent. It could also have separate contests for how to combine the strategies of the brands in each business unit, such as hair care and fabric care. And the company could have another contest aimed at combining the business unit strategies into an overall corporate strategy. Each contest could be open to many company employees, perhaps all of them. Anyone in the contest could propose a strategic option, and others could comment on or help develop the idea. Eventually there would be one winning strategy chosen in each challenge, but during the planning process, it would be important to consider a number of different options. Opening this process to lots of people could allow surprising new options to arise. For instance, a group of young, tech-savvy employees, who would never have been included in a traditional corporate strategic-planning process, might propose a new cosmetics concept involving skin and eye makeup specially formulated for individual customers who upload selfies to the website. One benefit of involving more people in generating strategic possibilities is that you get far more possibilities. But deciding which possibilities are most promising requires evaluating them all, and new technologies also make it easier to involve far more people and more kinds of expertise in evaluating. For instance, P&G might want its manufacturing engineers to evaluate whether it is technically feasible to make a product, its operations managers to estimate manufacturing cost, and perhaps outside market researchers to predict the demand for the product at different price points. A key necessity for developing good strategic plans is the ability to effectively sense what is going on in the external world: What do customers want now? What are our competitors doing? What new technologies might change our industry? By far the most visible means for improving sensing today are big data and data analytics. For example, P&G might analyze the positive and negative comments about its products in online social networks to gauge how customer sentiment about the products is changing. It might conduct online experiments at different prices for the products. And it might be able to obtain early warnings about sales changes by installing video and touch-sensitive floors in retail stores to analyze how much time customers spend looking at P&G’s products versus competitors’ products. P&G might even be able to do something Amazon.com Inc. has already done: use vast amounts of data to develop detailed models of many parts of its business, such as customers’ responses to prices, ads, and recommendations, and sort out how supply-chain costs vary with inventory policies, delivery methods, and warehouse locations.13 With tools like these, computers can take over much of the quantitative work of strategic planning by running the numbers, and people can use their general intelligence to do more qualitative analysis. Moving into related market segments, nearby geographical regions, or other markets frequented by your customers. When you pick one of these options, the system could then automatically provide a template including the kinds of details necessary for that type of strategy. By remembering good strategies from other settings, software assistants could help generate new strategies for your setting. For instance, if the strategy of using selfies to customize cosmetics were successful, a software assistant could suggest similar strategies that let customers use smartphones to customize P&G’s other products: shampoos, toothpastes, laundry detergents, potato chips, and others. Of course, many of these combinations would be silly or impractical and could be very quickly eliminated, but some might be surprisingly useful. And even silly options sometimes give rise to good ideas. For instance, in the early 2000s, P&G developed a process for printing entertaining pictures and words on Pringles potato chips.14 An approach like this might have led to another promising idea: using this technology to let customers buy Pringles that are preprinted with images that customers specify themselves. If a system is used over time, it can help a supermind learn from its own experience to become more and more effective. For example, it might help recognize strategic ideas that most people wouldn’t recognize in their early stages. In the 1970s, when Steve Jobs and Bill Gates were first playing around with what we now call personal computers, most people had no idea that these strange, awkward devices would turn out to be among the most innovative and influential products of the next several decades. It’s certainly not easy to rapidly filter ideas without missing these diamonds in the rough. But perhaps it’s possible to identify the unusual people who do have this skill by systematically tracking over time how accurately, and how early, people predict technological advances and other kinds of breakthroughs. Then we could ask these people to take a second look at some of the “crazy” ideas that we might otherwise reject. Another intriguing possibility is to use “learning loops” that begin with human experts evaluating strategies manually and then gradually automate more and more of the work as the machines get better at predicting what human experts would do. In a company like P&G that generally tries to compete on quality rather than price, experts evaluating product strategies usually reject those that emphasize competing on low price. But instead of programmers writing programs that explicitly filter out low-price strategies, a machine-learning program might recognize that experts often reject these types of strategies and start suggesting this action. If the experts agree with the suggestion enough times, then the program might stop asking and just do the filtering automatically. You might call the kind of strategic planning process I’ve described above a cyber-human strategy machine.15 Given how complex such a system could be and how generic much of the work would be, it seems unlikely that companies would develop proprietary systems for this purpose. Instead, today’s consulting firms, or their future competitors, might provide much of this functionality as a service. Such a strategy-machine company, for instance, could have a stable of people at many levels of expertise on call who could rapidly generate and evaluate various strategic possibilities, along with software to automate some parts of the process and help manage the rest. In the long run, such a strategy machine might use a supermind of people and computers to generate and evaluate millions of possible strategies for a single company. Computers would do more and more of the work over time, but people would still be involved in parts of the process. The result would be a handful of the most promising strategic options that the human managers of the company would choose among. The examples we’ve just discussed are focused on strategic decision-making, but what we’ve really seen is an architecture for general purpose, problem-solving superminds: Computers use their specialized intelligence to solve parts of the problem, people use their general intelligence to do the rest, and computers help engage and coordinate far larger groups of people than has ever been possible. As new technologies make this easier, we are likely to see many more examples of human-computer superminds being used to solve all kinds of business and societal problems — not just corporate strategic plans, but also designs for new houses, smartphones, factories, cities, educational systems, antiterrorism approaches, and medical treatment plans. The possibilities are virtually unlimited. R. Brooks, “Artificial Intelligence Is a Tool, Not a Threat,” Rethink Robotics (blog), Nov. 10, 2014, www.rethinkrobotics.com. David Ferrucci, email to the author, Aug. 24, 2016. Ferrucci led the IBM team that developed Watson. S. Armstrong and K. Sotala, “How We’re Predicting AI — or Failing To,” in “Beyond AI: Artificial Dreams,” ed. J. Romportl, P. Ircing, E. Zackova, M. Polak, and R. Schuster (Pilsen, Czech Republic: University of West Bohemia, 2012): 52-75. N. Bostrom, “Superintelligence: Paths, Dangers, Strategies” (Oxford, U.K.: Oxford University Press, 2014). M. Minsky, “Society of Mind” (New York: Simon and Schuster, 1988). L. Biewald, “Why Human-in-the-Loop Computing Is the Future of Machine Learning,” Data Science (blog), Nov. 13, 2015, www.computerworld.com. H.J. Wilson, P. Daugherty, and P. Shukla, “How One Clothing Company Blends AI and Human Expertise,” Nov. 21, 2016, http://hbr.org. S. Wininger, “The Secret Behind Lemonade’s Instant Insurance,” Nov. 23, 2016, http://stories.lemonade.com. A. Kittur, B. Smus, S. Khamkar, and R.E. Kraut, “CrowdForge: Crowdsourcing Complex Work,” in “Proceedings of the 24th Annual ACM Symposium Adjunct on User Interface Software and Technology,” ed. J. Piece, M. Agrawala, and S. Klemmer (New York: ACM Press, 2011); and “CrowdForge: Crowdsourcing Complex Tasks,” Boris Smus (blog), Feb. 2, 2011, http://smus.com. T.W. Malone, J.V. Nickerson, R. Laubacher, L.H. Fisher, P. de Boer, Y. Han, and W.B. Towne, “Putting the Pieces Back Together Again: Contest Webs for Large-Scale Problem Solving,” March 1, 2017, https://ssrn.com. J. Wolfers and E. Zitzewitz, “Prediction Markets,” Journal of Economic Perspectives 18, no. 2 (2004): 107-126. J. Wolfers and E. Zitzewitz, “Interpreting Prediction Market Prices as Probabilities,” working paper W12200, National Bureau of Economic Research, Cambridge, Massachusetts, May 2006, www.nber.org. V. Granville, “21 Data Science Systems Used by Amazon to Operate Its Business” (blog), Nov. 19, 2015, www.datasciencecentral.com. P&G sold the Pringles business to Kellogg Co. in 2012. For a description of the invention of the process for printing on Pringles, see L. Huston and N. Sakkab, “Connect and Develop: Inside Procter & Gamble’s New Model for Innovation,” Harvard Business Review 84 (March 2006): 58-66. Martin Reeves and Daichi Ueda use the term “integrated strategy machine” to describe a somewhat similar idea. But unlike their article, this article focuses more on how large numbers of people throughout the organization and beyond can be involved in the process and on the specific roles people and machines will play. 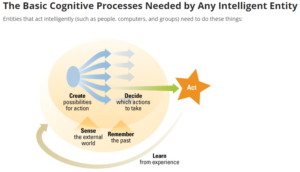 See M. Reeves and D. Ueda, “Designing the Machines That Will Design Strategy,” http://hbr.org.